Conferred with ‘Sahitya Akademi Award 2013', writer, poet, researcher, and academician, Dr. Anil Kumar Boro writes in English, Bodo and Assamese language. He is also recipient of ‘Rangsar Literary Award’. 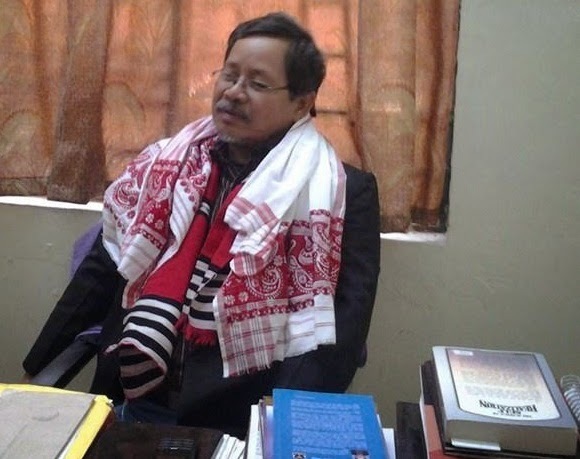 Born on 9th December, 1961 at Kahitama North of Barpeta Road, Baksa district of Assam, he started working as Lecturer in English in Dimoria College in 1988 and afterward joined in the Department of Folklore Research in Gauhati University in 2000. His father’s name is Baihagu Ram Boro. Following are his literary contributions and research works to mention a few. Publications: Research publications have been published in international and national research journals and books. 4. Delfini Onthai Mwdai Arw Gubwn Khonthai.